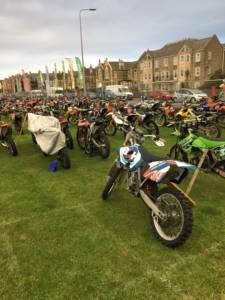 We’re excited to announce that one of our employees recently completed a major off-road motorcycling event – the HydroGarden Weston Beach Race. Simon Burnett, whose Father is one of Burnett & Hillman’s partners, is in the third generation of Burnetts to work at the company. As a family business, we were delighted to sponsor him and are very proud of his achievement in finishing the race. 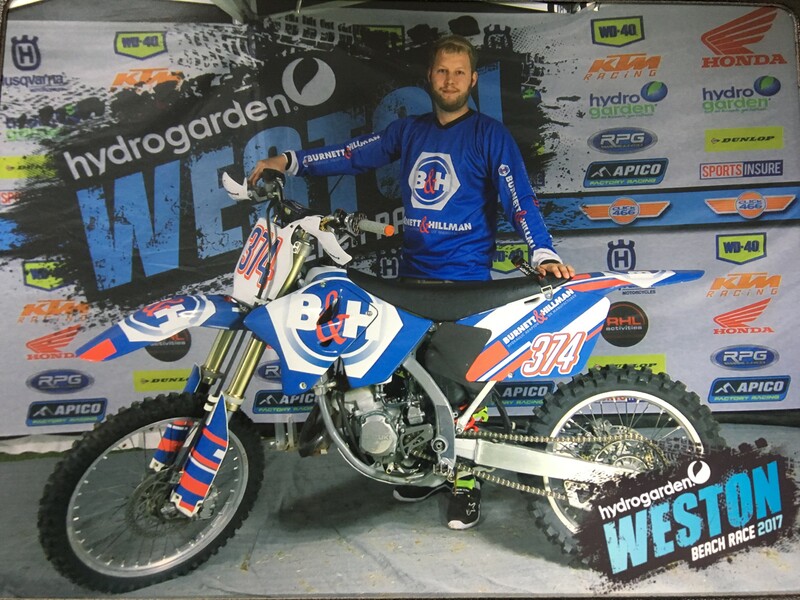 The HydroGarden Weston Beach Race bills itself as ‘the maddest, baddest and biggest event on the UK off-road calendar… [pitching] professional and amateur riders against each other on what is easily the toughest sand track anywhere in the world’. 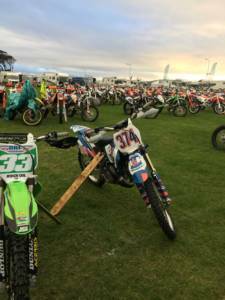 Each year one million tons of sand are imported to create the track at Weston-super-Mare, and the event continues to grow in popularity; this year it attracted over a thousand entries. 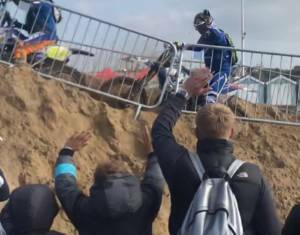 The race took over three hours to complete, with Simon finishing 575th out of more than one thousand other amateurs and professionals – a testament to his determination and endurance. 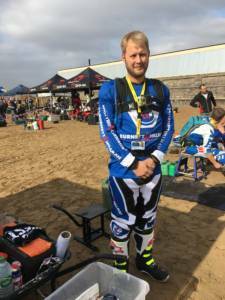 “I did feel quite exhausted towards the end,” he says, “but now I’m hooked and looking forward to next year – with a little more fitness training.” In the meantime, he is a member of a motorbike club called Core Offroad, based in North Devon, through which he participates in other events at least once a month. 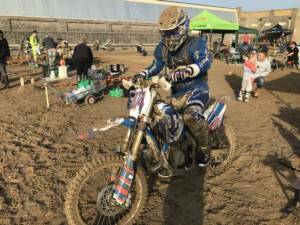 Simon’s love of motorbikes began at the age of 7, when he could be regularly spotted riding his bike around the car park at Burnett & Hillman in the evenings and at weekends. 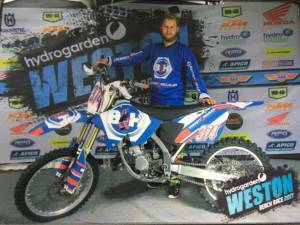 He bought his first Motocross bike aged 17, and took part in his first Enduro in 2015.